The Wisconsin state Senate voted 33-0 Tuesday for a plan that could help remove lead water pipes running underground in communities throughout Wisconsin. But shortly after the vote, the state Assembly's top Republican said the plan could need changes to pass in his chamber. "It's well documented that we have a problem with all of us being affected by the consumption of lead in water, especially kids," said Sen. Robert Cowles, R-Green Bay, the measure's sponsor. "This bill will empower water utilities, city councils to do the right thing." While water utilities can use chemicals to reduce the amount of lead in drinking water, experts say the only way to completely eliminate the problem is to get rid of lead pipes completely. "Twenty years from now, we don't want to look back and say, 'Oh, we still have these pipes, we're still poisoning children from our water,'" said Dr. Elizabeth Neary, a pediatrician who has studied the effects of lead on children and supports the Senate proposal. "Lead poisoning is silent," Neary said. "We don't know the impacts of lead poisoning until later in life. But we do know that lead is toxic to the developing brain." Part of the reason replacing lead service lines is so difficult is that part of the responsibility — and the cost — falls to homeowners. While local governments can replace the portion of lead service lines that run below city streets, it's up to residents to replace pipe from the edge of their property to their homes. If cities only replace the public portion of lead service lines and leave the rest, experts say it can actually result in more lead in drinking water, not less. "It's a big problem, especially among older, urban communities that have been around since the beginning of the state," said League of Wisconsin Municipalities Assistant Director Curt Witynski, whose group supports the plan. "Before 1950, everyone thought lead was the best type of pipe for moving water." The problem is especially pronounced in Milwaukee, where an estimated 70,000 lead service lines need to be replaced. Last year it cost homeowners about $3,000 on average to replace a lead service line, according to Wisconsin's Department of Natural Resources. Sen. Lena Taylor, D-Milwaukee, one of the co-authors of the Senate proposal, said she hoped municipalities would find a way to make sure the poorest homeowners can afford to replace their lead service lines. "This is an expense that many homeowners just can't handle," Taylor said. The Senate plan would let water utilities offer customers grants or low-interest loans to replace water lines. To pay for those loans, water utility bills could go up for all residential ratepayers, something that's not an option under current law. "This bill really just creates a tool for communities to use if they want to," said Witynski. "To be able to spread that general cost among all water utility payers on the residential side." But that part of the bill concerned Assembly Speaker Robin Vos, who told reporters he didn't want to increase water bills for people who've already paid to have their own lead service lines replaced. "We know it's a real problem, we want to find ways to help people," Vos said. "But I think we also want to do it in a way that's protecting people who have already made the investment and the taxpayers who'll bear the cost." Witynski said that under the bill, utilities could potentially explore new sources of revenue to replace lead pipes, like the city of Madison did when it replaced all of its lead service lines from 1995 to 2011. That project, which totaled $15.5 million, was funded in part by new revenue from cell phone antennas. The nation's aging system of lead pipes came under more scrutiny when lead seeped into the drinking water in Flint, Michigan causing a massive public health crisis. "If they didn’t have lead service lines, they would have never had the Flint crisis," Neary said. "The permanent solution is to remove the lead service line." 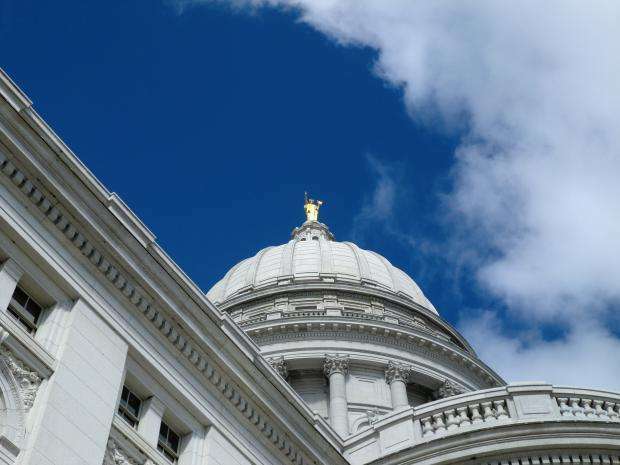 The state's largest business group, Wisconsin Manufacturers and Commerce, opposed an earlier version of the plan that passed the Senate, arguing that the cost of replacing lead pipes should fall to cities, not water utilities. WMC spokesman Nick Novak said amendments to the plan had addressed the group's concerns and it was now neutral on the bill. Editor's Note: This story was updated at 4:45 p.m. Tuesday, Oct. 31, 2017.